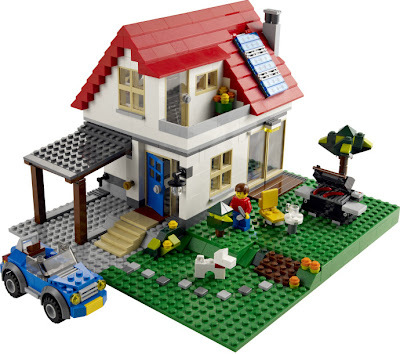 can be built into a hillside house, a small house with greenhouse and a modern house. 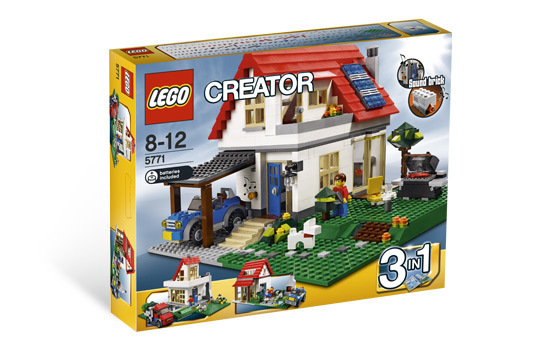 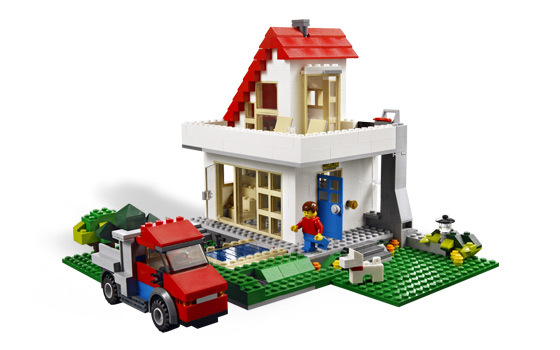 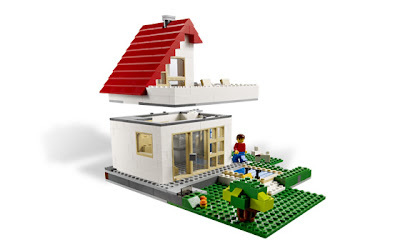 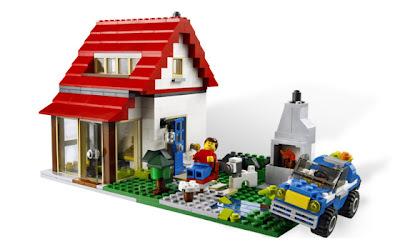 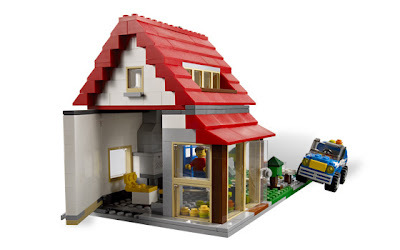 included details like garage, patio, grill, folding chair, fireplace, balcony, tree, light, a car and a dog. 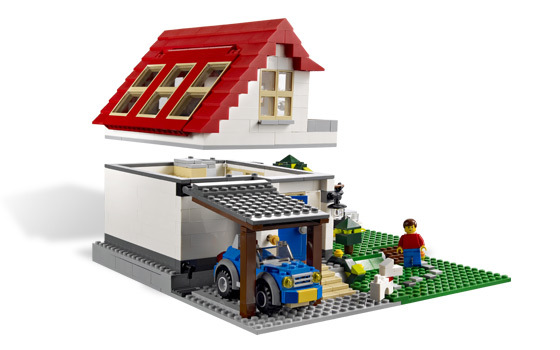 the roof can be lifted to to reveal the interior.